I just love how the beauty industry in Singapore is getting more interesting as increasing numbers of Singapore-based companies are popping up to cater to the beauty needs of Singaporeans (and other consumers in the world, of course). Many skincare products that are manufactured in the West are lovely, but the texture and formulation may not be best suited for Asian skin and for our hot and humid climate. Over the last year, I have encountered a few local skin care companies and am thoroughly enjoying their products. Now, I have another to introduce to you! 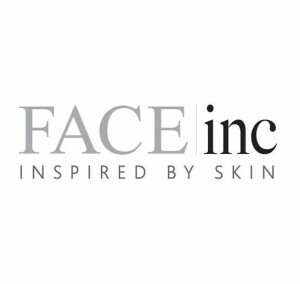 The Face Inc is a Singaporean-based company and the brand works closely with dermatologists and French skincare research formulators to create cruelty-free and highly-effective treatment products that are specifically formulated to treat common skincare concerns and consistently deliver results in a simple four-step routine - Clear, Correct, Rejuvenate and Protect. I also like the fact that their skincare products are specially created for Asian skin and manufactured under stringent GMP conditions in Asian laboratories. As the weather is getting pesky hot in Singapore, our bodies will tend to produce excessive sebum, thanks to our sebaceous glands going to town. With the production of excess oil on the skin, it is no wonder that we suffer from way more clogged pores and pimples. Personally, with recent temperatures hitting 35 degrees, I noticed that my skin breaks out more often and the pores around my nose area look larger. My skin tends to have more redness as well. 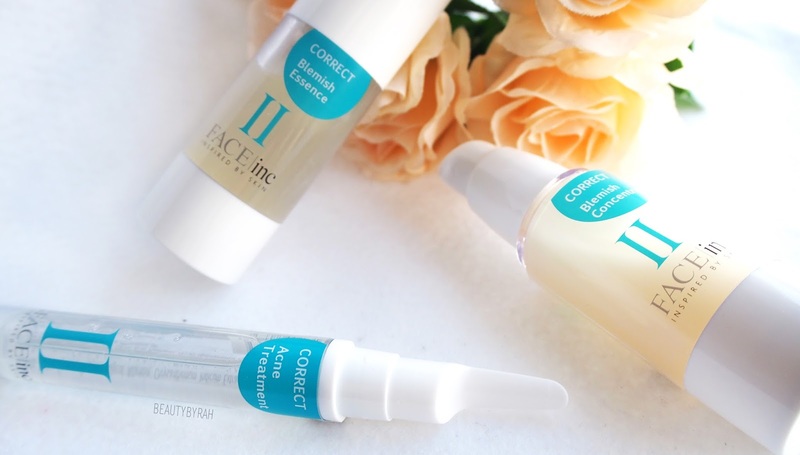 the Blemish Essence and Concentrate as it is supposed to clear pores and control sebum production. The products come with a pump, which I much prefer over jar packaging. Firstly, it is more hygienic and convenient. Next, the beneficial ingredients in the product will be active for a longer time due to it not being exposed to air. However, these cylindrical pumps are clear, enabling the active ingredients to be degraded faster via the presence of light. The Blemish Essence helps to clear pores to prevent future breakouts, and reduce and prevent the appearance of comedones (blackheads and whiteheads). This contains antiseptic Tea Tree Oil as well as Green Tea Extract (which is a antioxidant and anti-inflammatory agent, 2 of the main ingredients that our skin requires! Read my previous post on skincare findings for a lil more information if you are interested). 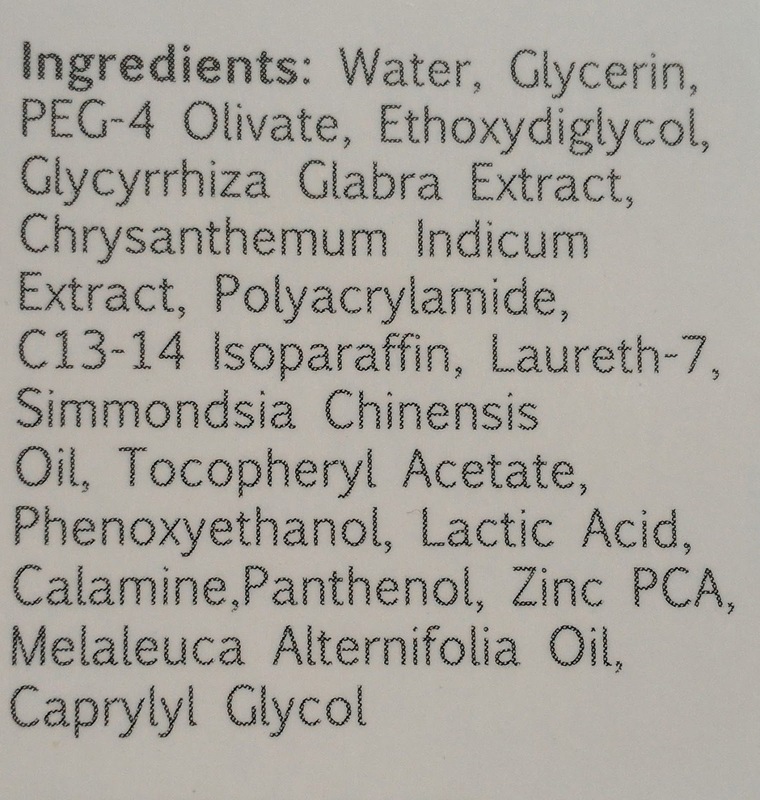 In the bottle, the product is a clear-ish liquid with some clouds of opaque substances (I am not too sure of what they are, but I suspect it is the Chrysanthemum extract!). Shake them up real good before application. 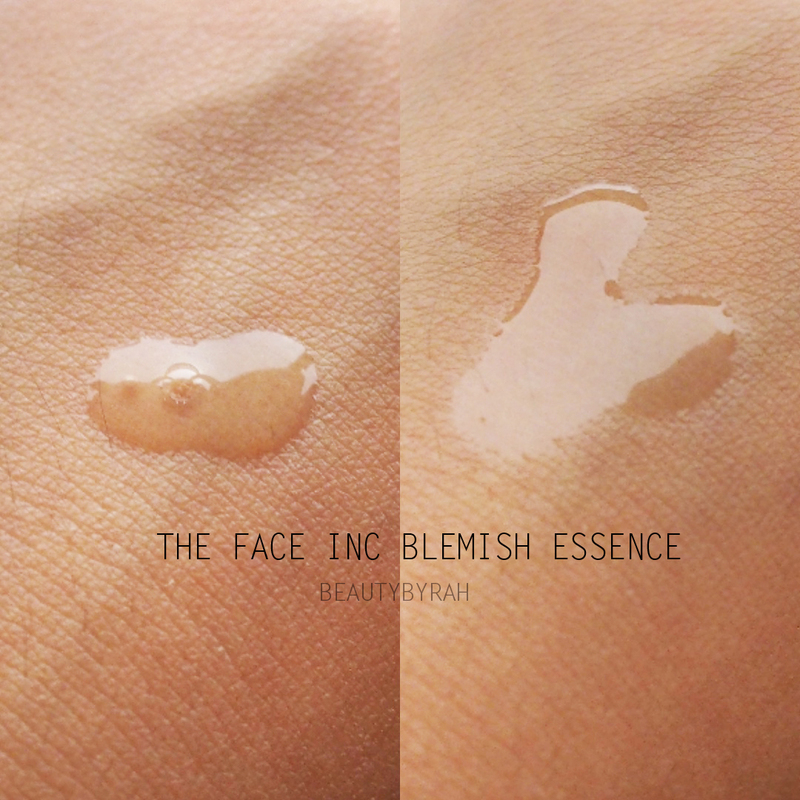 The texture is a super lightweight liquid, much comparable to water. It goes on really nicely onto the skin and disappears almost immediately, leaving no tacky residue. I love how lightweight and absorbent it is! This really helps in the hot and humid climate here in Singapore and aids in product layering as well. 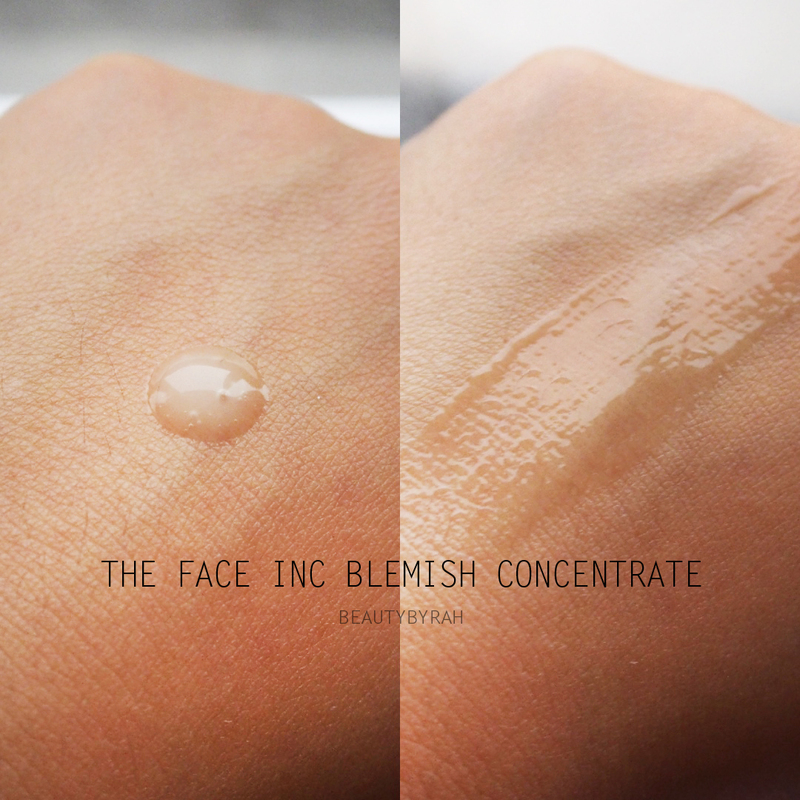 The Blemish Concentrate is a formulation that controls the production of sebum and soothes irritated skin. This reduces repeated occurrences of blemishes and breakouts. 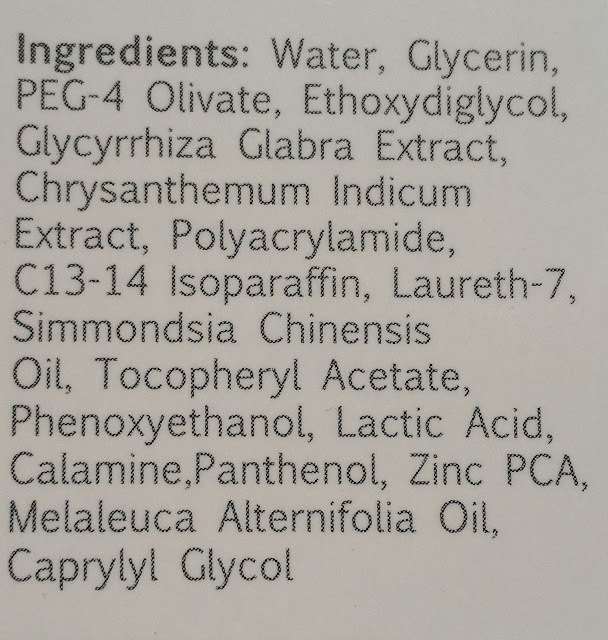 It contains Zinc PCA (regulates active sebaceous glands and controls blackheads), Chrysanthemum Flower and Jojoba Seed Oil extracts (anti-inflammatory agents) and Tea Tree Leaf Oil. This is a yellowish opaque and viscous gel that blends really easy onto the skin. Like the former product, this is extremely lightweight and comfortable on the skin as well! I have not tried the Acne Treatment yet, but I really do like the applicator! 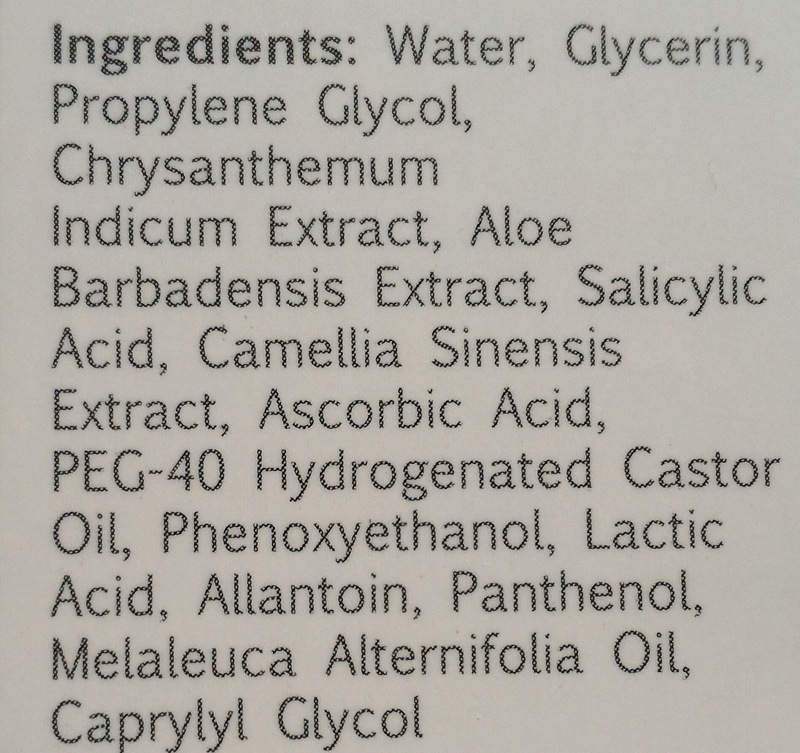 Here are the ingredients, just in case you're interested! 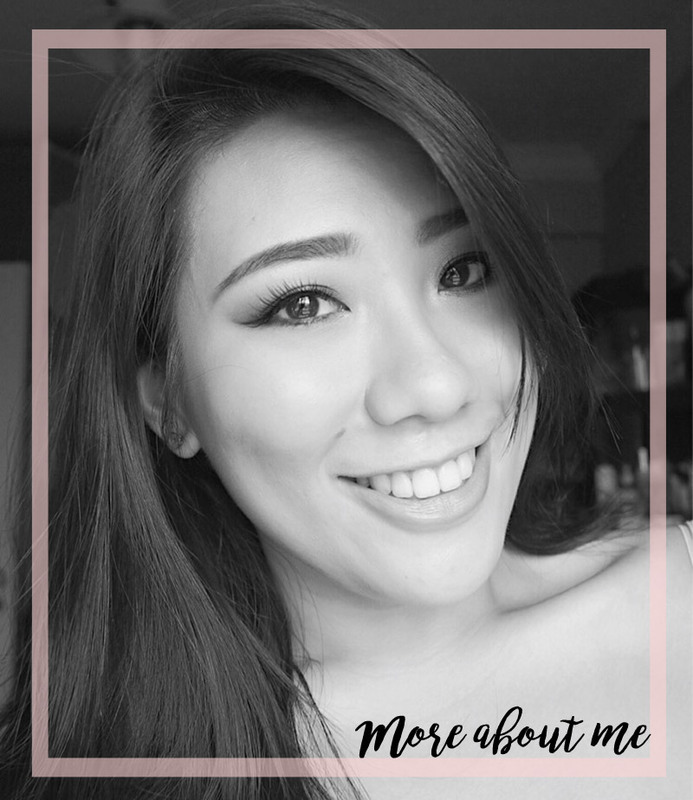 Overall, I am enjoying the texture of the products as they really do cater to the hot and humid climate in Singapore as well as for oily skin (as heavy creams can only exacerbate problems of oily skin!). I do find the prices very reasonable as well! 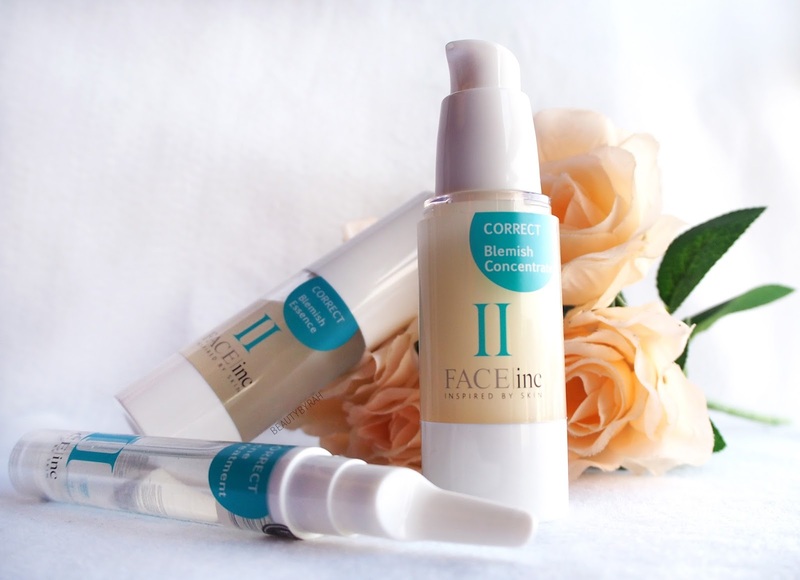 For more information on The Face Inc and their products, you can check out their website or their Facebook! Disclaimer: These products were sent to me via PR but the opinions stated here are of my own.